Yevin Samararatne was born in Sri Lanka in year 2004 and moved to Brisbane, Australia with his parents in year 2005. Since he was 4 years old he loved watching Golf on television. He simultaneously had displayed a natural swing of the bat while playing cricket from his very young age. This had signified as having an innate talent within him. He was gifted with his very first Golf ‘club’ when he was just 6 years old. When Yevin turned 7 years old, he started at Logan Golf Range having joined Mount Warren Park Golf Club as well as River Lakes Golf Club, under the guidance and watchful eyes of coaches Jared Love and Zoe Nelson. While showing a natural talent and technique of the golf swing at such a young age, the coach had encouraged Yevin to start participating in the 9-hole competitions even though the rest of the competitors were very much elder to him. Since year 2012 Yevin has participated in several competitions around Queensland and won several awards in tournaments at various clubs including Pacific Golf Club, Virginia Golf Course, Bargara Golf Club, Mt Warren Park Golf Club, River Lakes Golf Club, Sandy Gallop Golf Club, Bribie Island Golf Club, Wantima Golf Club and Walston Golf Club, Oxley Golf Club, Corinda Pitch & Putt. He was awarded the “Encouragement Award” at Greg Norman Foundation (South East Queensland) Awards Ceremony 2012, “Player of the Year Award” for 2012 at River Lakes Golf Club and “Spirit of Golf Award for 2012” at Mt Warren Park Golf Club. In the year 2013. Yevin was awarded the “Player of the Year Award” for 2013 at Greg Norman Foundation (South East Queensland) Awards Ceremony as well as the “9 Hole Challenge Gross Winner” Award for 2013. He was also awarded the “Most Improved 9 Hole Player” for 2013 at Mt Warren Park Golf Club. His progression since he was 8 years old has been commended by his coaches for his exceptional talent and wonderful temperament. Yevin has received many accolades for his mannerism, politeness and for the way he presents himself on and off the golf field even in the company of adults. He has been praised by his coaches for his attitude while playing as it has been noticed that his body language does not change even while losing as he keeps on smiling which is a hallmark of a true sportsman. In addition he had been acclaimed by many over his skills in Golf, his integrity, morals and etiquette. On the advice of his coaches Yevin having shown maturity started to play in 18 ‘Hole’ golf courses for his club Mt Warren Golf Club in latter part of year 2014. Immediately showed his prowess when he won the 1st monthly medal at his club. 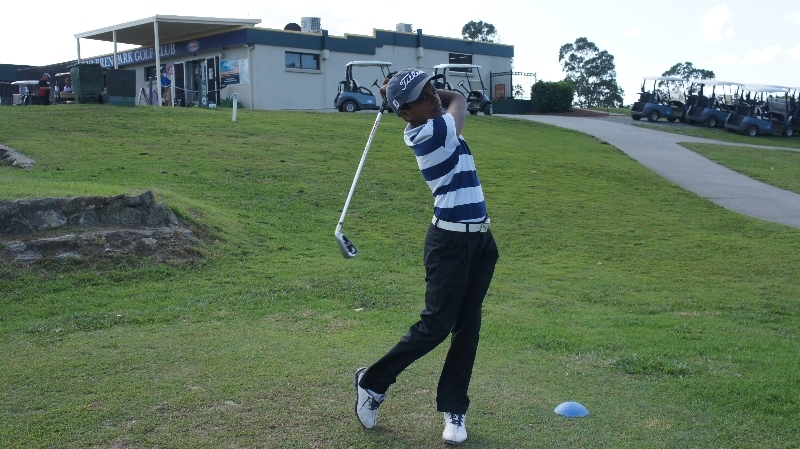 He was selected to participate at South Coast Schools Golf championships organized by School Sport Queensland in the 2014.In the same year Yevin was the Under 14 Nett winner at Bargara Golf Club. Yevin won the ‘C’ grade club championship at Mt Warren Park Golf Club when 120 players from young to senior members participated. Incidentally he was the youngest among those who participated in this competition. He was the recipient of the “Best Handicap Reduction” award winner at the Greg Norman Foundation awards ceremony held in December 2014.He was a member of winning Junior Pennants team at Mt Warren Golf Club, a member of the Golf Queensland Sub Junior team 2015, participated in Golf Queensland Fayde Points Challenge competition and got the second place of Gross & Nett in 2015,participated in School Championships at Cairns was placed overall 3rd place for Queensland in 2015,participated in National Championships in New Castle in 2015,best score and overall Nett winner at Wynnum Junior classic 2015,participated in Greg Norman Junior masters, participated in Adam Scott Junior open and came second place overall for 13 & under, selected to play Invincible Match Play at Perigian Spring Golf Club, participating in several tournaments in NSW to Bundaberg ( Balina Golf Club, Ocean Shores Golf Club, most of the Gold Coast junior opens & Sunshine coast Junior Open),selected to play Junior Masters in 2016 winning under 13 categories at Caboolture ,participated in QLD Boys & Girls Amateur Championships at Bargara June 2016,participated in school championships at Yapoon was overall 3rd.Was selected to play at Murray Bridge in South Australia, scored 72 at Pacific Junior classic 2017 while scored 1 under 70 at Mount Warren Park Golf Club 2017. His best achievement to date was when he was adjudged the Nett Runner up among 70 school golfers in the Junior Queensland Sport between 13-19 years Golf Championships 2017 held at Toowoomba between 23-26th July which is an annual event since 1978.Yevin is still 13 years old who had to compete with senior players who were 19 years old, a remarkable achievement. 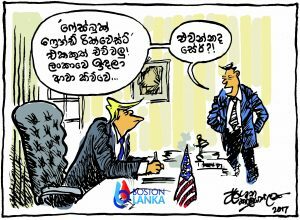 In the above context as Yevin is on course to be a mature golf player and would bring laurels to his motherland Sri Lanka which he adores. He is a student in Grade eight in Shailer Part State High School is a bright student, the school captain in the Junior School who’s ambition is to become an Engineer.